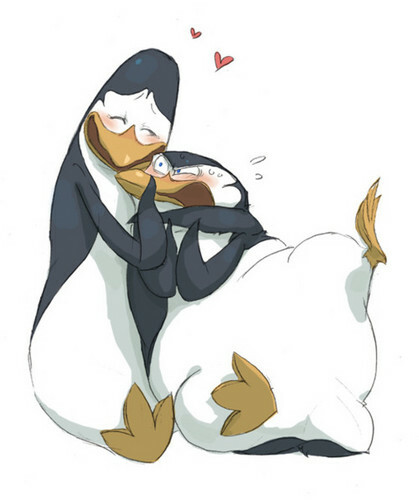 Kowalski hugging Skipper. Again, that's not mine. I think it's from man from image credit but I'm not sure. Wallpaper and background images in the Die Pinguine aus Madagascar club tagged: penguins of madagascar skipper kowalski hug.